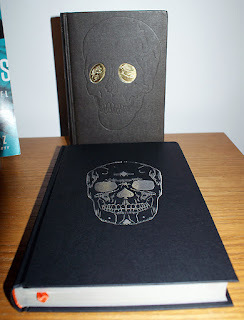 It took some time for the Goldsboro Books TRIGGER MORTIS edition to reach Sweden so I am glad that Anders Frejdh at From Sweden With Love helped me get my hands on the Waterstone signed edition of TRIGGER MORTIS. On the release day of TRIGGER MORTIS there was a book signing at the Waterstones Bookstore in London. 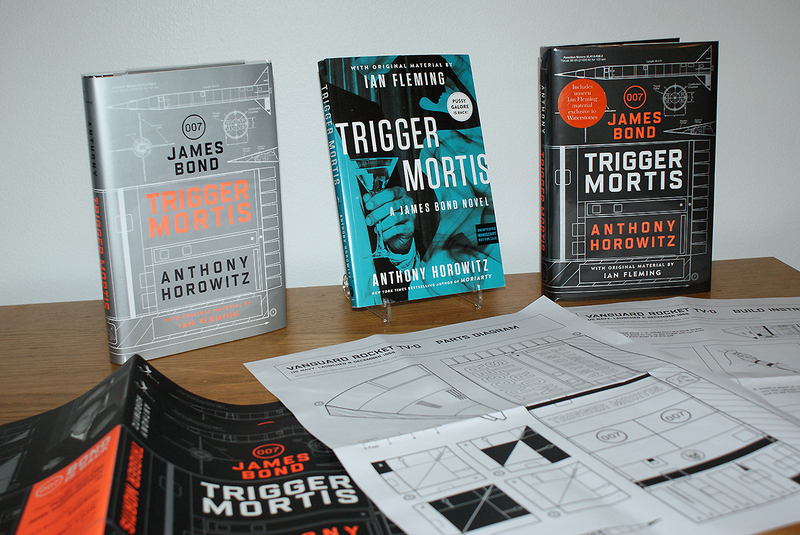 Anthony Horowitz was offcourse there and I had given Anders special instructions for my "black edition". 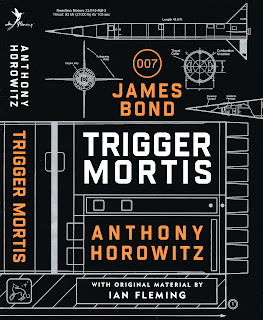 If possible I wanted Anthony Horowitz to write. "Come in 007. M grunted, Take a seat, I will be with you in a minute". Since I already had the US proof edition of the book I managed to find this passage before the release. 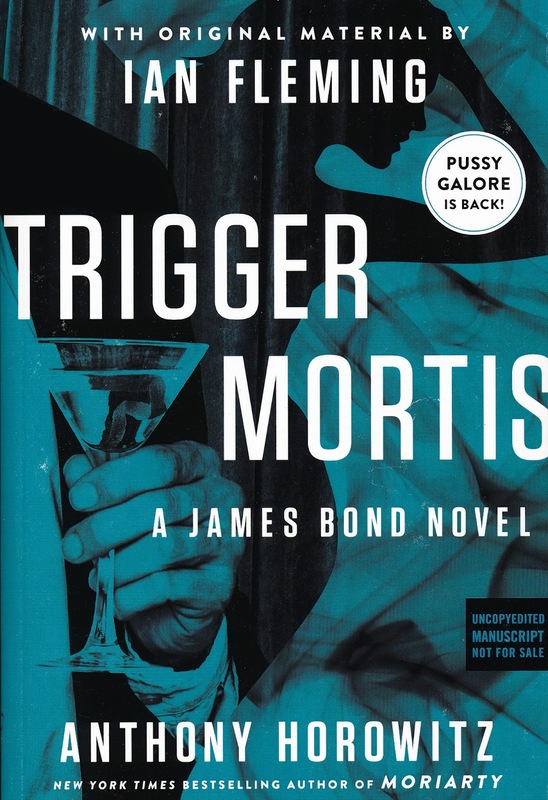 The Waterstone edition of TRIGGER MORTIS. My Goldsboro Edition is number 875 out of a 1000. According to Goldsboro Books website they had a few signed prints left when the books was sent out so all of the 1000 prints did not sell at once. They do seem to be sold out now though. And that's great news. It would be truly interesting to know how many books have been sold in the UK. A quick search on Google finds me nothing on the subject. The US cover is totally different from the UK version. I personally enjoy the blueprint on the UK cover much more and it do grow on you while you read the book. 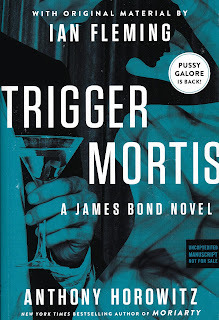 The US cover just tries to highlight the James Bond life with a tux and a Vodka Martini. The UK version is better in that sense. As a book collector the artwork is highly important. If I like the cover I will buy the book. My only reason for buying the US edition was that it was a PROOF COPY. I have decided some time ago to only collect the hardbacks first editions of the books after Fleming. The main resaon for this is space (as the saying goes: Happy Wife, Happy Life). 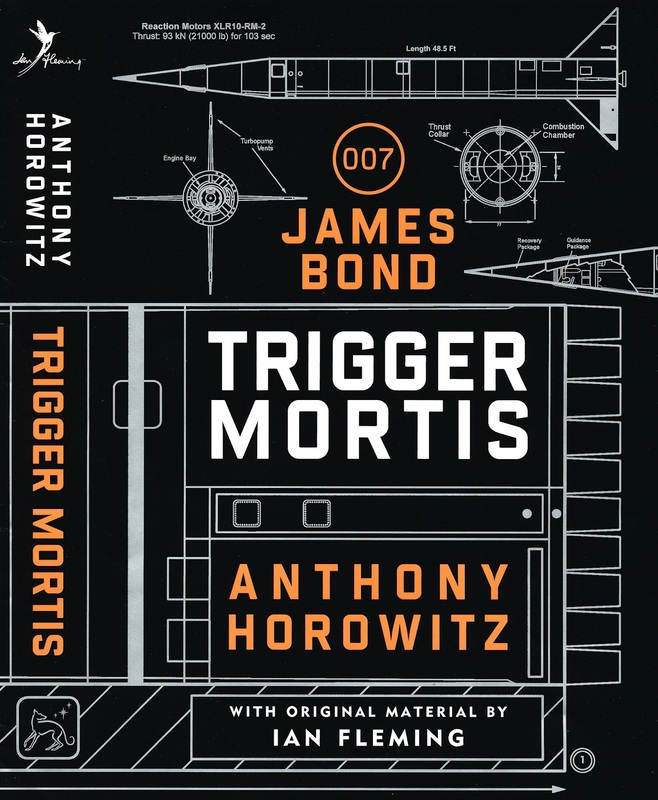 For this blog post I asked Anthony Horowitz on Twitter if there were any differences between the Proof version and the first edition but I believe he has not seen my post yet and if he answers I will get back to you on this. It would be great knowing if something was changed that he remembers. Also in my collection is two extra dustjackets and the instructions on how to builed the rockets they used to promote the book upon release. I have not jet been able to destroy my jackets for that purpose. 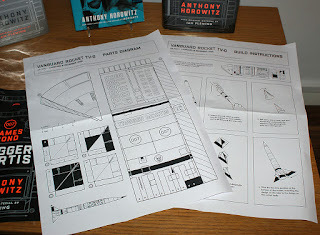 How to build your own rocket. Finally in the collection I have three postcards from Orion that they sent out to promote the book a few month before the release but if you head over to THE BOOK BOND they have pictures of three postcards. The final touch I wish to point out is off course the homage to Ian Fleming's GOLDFINGER from 1959. As I believe you are aware of TRIGGER MORTIS takes place two weeks after GOLDFINGER and therefore there is a skull embroiled on the TRIGGER MORTIS front just like it was on the GOLDFINGER front on the first edition. 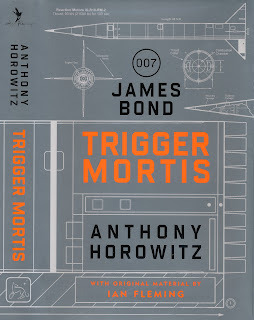 The skull on TRIGGER MORTIS and GOLDFINGER.